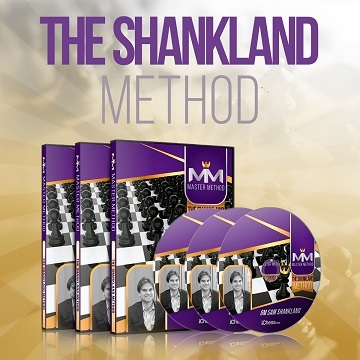 Today, I am going to show you how to use GM Sam Shankland’s innovative approach to dynamic chess in your own games! Having just won 2 gold medals at the Chess Olympiad, Sam Shankland’s star is on the rise and his incredible new course is going to help a lot of players dominate their games. The overriding theme is that, if you have a move that you would like to play but your opponent seems to be preventing, what happens if you play it anyway? Of course, there’s more to it than just playing it but that’s where I am going to help out! I am will examine some instructive examples from top level play, helping you to pick up some valuable secrets! • Kramnik’s stunning sacrifice to disrupt the symmetrical position and leave Levon Aronian struggling in a passive position. This is a great one to remember against opponents determined to draw against you. • How Kasparov used these principles of dynamic chess to overpower Judit Polgar in a fantastically wild game. • Sam Shankland’s own brilliant attack against the Sicilian Defense, Najdorf variation – crushing GM Romanenko in just 24 moves! • The innovative sacrifice that enabled Wesley So to spectacularly beat Ivanchuk – with the black pieces! If you have ever been frustrated when one of your attacks doesn’t quite seem to work, make sure you join our webinars on Saturday!